Attendance at Seven Springs on June 20 was 63. Our most sincere sympathies are extended to Denis and Shannon Hodge in the sudden loss of their son, Jake. On Saturday morning, June 20, many gathered for a spruce up at Dycusburg, organized by the Dycusburg Community Group. This was the third cleaning this year there. A very special thanks to volunteers Billy Hogue, Star Mahns, Dan and Michelle Henderson, Barbara Ethridge, Jordan Wadsworth, Rick Fondaw, Jeannie Griffin, Jamie Wood and Matthew T. Patton for their efforts. More than 50 bags of roadside trash were collected, and the Dycusburg Area Veteran's Memorial Park site was extensively cleaned. The small town is full of people with big hearts. The series of clean up days demonstrate how civic involvement can beautify an entire community. The progress is evident. The annual Smith-Owen reunion will be held Saturday, July 5 at the home of Stanley Lott in Frances. All family members are welcome. Please bring a covered dish and your own lawn chairs. Meal served at noon. Barbara Ethridge and her granddaughter McKenzie Noffsinger returned from a visit to New Lenox, IL, to visit Barbara's sister and brother-in-law, Carol and George Strilko. Betty Owen of Frances is home recovering from surgery. We wish her a speedy recovery. Rudy and Chase Matthews have returned from Washington, DC. Chase, a Purple Heart veteran, was honorably discharged after his service in Iraq. Sgt. Jonathan McMackin, who was injured in Iraq alongside Chase on March 19, 2007, paid a visit to Chase. McMackin recovered at Brooke Army Medical Center in San Antonio while Chase was in D.C.
After a month-long stay, Lola Mae Patton was released from Crittenden Health Systems. An additional shipment of t-shirts honoring Dycusburg-area veterans is now available for purchase at Dycusburg Grocery. A limited number is available. Nearly 50 have already sold, so be sure to get your t-shirt to proudly sport on the 4th of July. An image of the t-shirt is available for viewing at http://www.dycusburg.com/. Why spend extra gas to see a fireworks show elsewhere when you can see a huge one right in Crittenden County? The Dycusburg Community Group will be hosting a July 4 "Red, White and Boom!" celebration and it's going to be a blast! The Dycusburg Area Veterans Memorial Park and marker dedication will be at 6 p.m., followed by fireworks at 8:30. Western Kentucky-based "Gunner T" will perform after the ceremony and before and after the fireworks. An expanded selection of food will be offered at the Dycusburg Grocery that day, including a grill outside by Evan Dew Productions with steak sandwiches, ribs, turkey and hot dogs. If you haven't seen the nice marker at the entrance of Caldwell Springs cemetery, we recommend driving down to see it. Kudos to those who had it installed. It adds much to the landscape. We understand a similar marker will be introduced at Dycusburg Cemetery in the coming days. Seven Springs had 53 in attendance at Sunday school. Vacation Bible School (VBS) starts there on July 7. Members are determining whether VBS will be three or five days in length. Once we know, we'll print it here in this column. An interesting visitor literally rolled through Dycusburg last week. Will McCarthy of Ithaca, NY, departed on bicycle from New Orleans and was headed toward his New York home. He said biking was "the only way to see the country" and chose to ride through small towns as part of his route. Mary LeFan reports attendance at Mexico Baptist Church is regularly in the 150 range. The pastor is Bro. Tim Burdon, originally of Henderson, Ky. The church is one of the most active in this part of the county, with several creative ministries and recreational activities. Every year, the church has a Cinco de Mayo celebration, church picnics, a fish fry, harvest festival, Easter egg hunts, Christmas parades, birthday parties and a well-attended wild game supper in February. For more information about the church and its mission and outreach, check out www.mexicobaptist.org. It was a pleasure to meet Tim Cannon at Dycusburg on Sunday. He was cleaning up the yard at his mother's (Jean Cannon) home there. The Cannon property adjoins the Dycusburg Veteran's Memorial Park property which is the site of the old Dycusburg City Hall. Tim said Jean misses Dycusburg and her friends there very much. 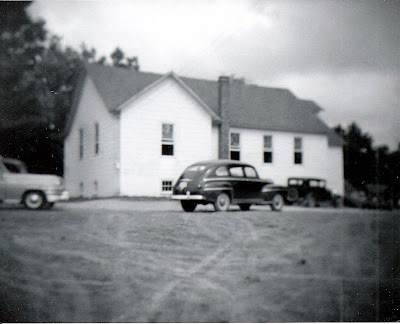 On Sunday morning, June 15, the Virgil Travis home at Dycusburg on the back hill burned to the ground. Teddy Davenport was residing at the home, but was not there when it burned. Several area fightfighters were on the scene, but the home was a total loss. Several photos are posted at www.dycusburg.com. Curtis Griffin would like to give a special thanks to Rick Holsapple and Mark Riddle for their assistance in bringing in his hay while he was not feeling well. The final cleanup before Independence Day at Dycusburg will be held this Saturday, June 21 from 10 a.m. to 2 p.m. No dump truck will be in town this time, but a crew will go alongside the road to collect debris. If you're interested in helping, please call Michelle Henderson at 988-2758 or Star Mahns at 988-3004. We are keeping the Holsapple family in our thoughts and prayers as they have experienced a few illnesses recently. Wesley Lynch, formerly of Crittenden County, now of Amboy, Ill., would like to obtain a copy of the Frances Elementary eighth grade class photo of 1957-1958 if one exists. If you have a copy, please contact matthewtpatton@yahoo.com. The Dycusburg Community Group has been finalizing details for the July 4 "Red, White and Boom!" celebration. A band has been secured for the night. Western Kentucky-based "Gunner T" plays a variety of types of music, including old and new country and old and new rock and more. The memorial marker and park dedication will be at 6 p.m., followed by fireworks at 8:30. The band will play after the ceremony and before and after the fireworks. An expanded selection of food will be offered at the Dycusburg Grocery that day, including burgers, barbeque and a host of baked goods. Several fathers and sons were on the riverfront sharing Father's Day together fishing. This week's historical tidbit focuses on Dycusburg. Dycusburg was established Feb. 3, 1847, making it 161 years old. Located approximately 16 miles from the Crittenden County seat of Marion, in about 1835, a Mr. Shelby opened the first ferry here on the Cumberland River. Later Berry Dycus (after whom the town was named) opened a brick warehouse and the small town began to prosper. Dycusburg was laid out by William F. Dycus on land then owned by G.B. Dycus, its first settler. Soon after Dycusburg was incorporated in 1848, businesses began to boom even more, and the post office was established as Dycusburgh on Nov. 7, 1848. The same year, the county court appointed C.M. Jackson, Joshua Duvall, J.C. Elder, H.W. Sanders and G.B. Dycus as the first trustees of Dycusburg. The town marshal, a synod of "patter rollers," (patrollers) was commissioned for the city and surrounding area. They included M.S. Smith, Captain P.R. Bliss, Robert Cooksey and David Moore. On June 22, 1868, the by-laws of the Town of Dycusburg were adopted. If you have news to share (birthdays, anniversaries, weddings, church reports or other news), e-mail matthewtpatton@yahoo.com or michrehend@yahoo.com. Local farmers have been extremely busy baling hay lately. Carter Travis, 90, of Princeton, is in the hospital at Hopkinsville. Loya and Ann Travis of near Caldwell Springs have been visiting him often. Also on the hospital sick list is Lola Mae Patton. Ruby Nell (Gallemore) Peek, 75, of Marion died last Tuesday. She was buried at Dycusburg. A large crowd gathered for the funeral of Imogene Tabor, 97, at Caldwell Springs. She was a member there for more than 50 years and was the oldest living member. A potluck lunch was served afterwards. Several from the area have fond memories of her from Sunday school and Vacation Bible School at Caldwell Springs. Memorial contributions may be made to Caldwell Springs Cemetery Fund, c/o Houston Peek, 3211 SR 855S, Fredonia, KY 42411. Caldwell Springs Baptist church holds regular weekly services. Bro. Shoney Oliver is the pastor there. Sunday school starts at 10 a.m., worship services begin at 11 a.m. The grounds of the church and the cemetery at Caldwell Springs are beautiful, especially the many historic stones at the cemetery built on a steep hill. Attendance is increasing again at Seven Springs Baptist Church with 69 at Sunday School. We were happy to see Joy Knight back at church after an illness. Bro. Don Guess preached on Sunday. Linda Stinnett and daughters Megan and Destiny Dutton enjoyed their time at Crayne Day on Saturday. Congratulations to Dan and Michelle Henderson on their anniversary (June 14). It's never to late to send a donation for the upkeep of the Dycusburg Cemetery. Donations may be sent to Faye Stinnett, P.O. Box 4, Dycusburg, KY 42037. 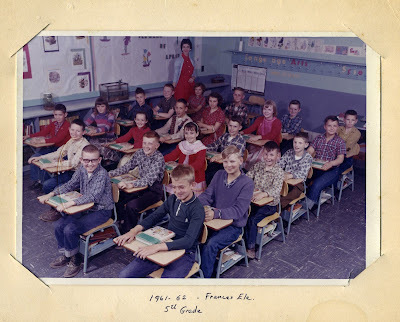 Wesley Lynch, formerly of Crittenden County, now of Amboy, Ill., would like to obtain a copy of the eighth grade Frances Elementary class photo of 1957-1958 if one exists. If you have a copy, please contact matthewtpatton@yahoo.com. Special thanks to Cecil Knight, owner of The Family Studios, who made a sizeable donation to the Dycusburg Community Group after taking family portraits at Dycusburg Baptist Church's fellowship hall. The next roadside litter pick-up day at Dycusburg will be Saturday, June 21 from 10 a.m. to 2 p.m. We hope area residents will grab a trash bag and pitch in. The concrete has been set for the foundation for the Veteran's Memorial Marker at Dycusburg. A special, albeit belated, thanks to Mike and Linda Sutton who have been generously allowing the dump truck to be parked at their property during the recent clean up efforts. They have been quite supportive of the town. The Dycusburg Community Group has been finalizing the plans for the July 4 celebration, dubbed "Red, White and Boom!" An expanded selection of food will be served at the Dycusburg Grocery that day, including burgers and barbeque. Later, the day's main event will be the Veteran's Memorial marker and park dedication at 6 p.m., followed by fireworks at 8:30 (sunset will be at 8:16 p.m. that day). Because we anticipate a large number of attendees for the dedication, live music and free fireworks show, parking (also free) will be attendant-supervised for everyone's convenience. Finally, please bring a lawn chair. Look for an advertisement in next week's newspaper detailing the events. The staff of The Crittenden Press are to be commended for their outstanding efforts of late. We were happy to see two recent stories about Frances, both front page items. The most recent issue featured Frances-raised Scott A. Campbell who will be heading the Kentucky Army National Guard's 149th Maneuver Enhancement Brigade, the largest organization in the Kentucky Guard. The other item was about Frances resident Billy Holcomb who has dozens of restored tractors and other antiquated farm equipment. If you miss an issue of The Crittenden Press, you're likely missing fine examples of award-winning reporting. Starting this week, we'll be including interesting historical tidbits about the area. This week, we'll focus on Frances. According to papers published by M.F. Pogue, in 1874, Frances was known as “Crossroads,” because the Eddyville and Salem roads and the Dycusburg and Marion roads crossed there. According to tradition, sassafras and persimmon bushes, coupled with a few dilapidated log buildings made the residents look for another name for the meager village. The neighborhood was dubbed “Needmore.” In 1892, when the government decided that Needmore needed a post office, the residents submitted their name of choice, later to learn that Metcalfe County already had its own Needmore. After consultation (and after some unkind words relayed to the Postmaster General), the town was named “Frances,” in honor of Frances (Folsom) Cleveland, wife of President Grover Cleveland. 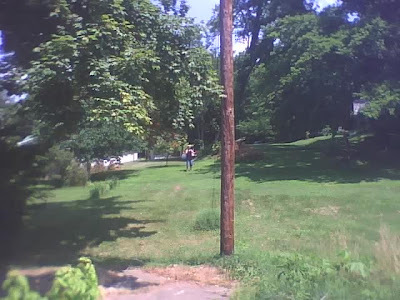 On Sunday morning, June 15, 2008, the home owned by Virgil Travis burned to the ground. Teddy Davenport was residing at the home, but was not there when the home burned. Several area fightfighters were on the scene, but the home was a total loss. The first photo is from April 2008. Click the photos for larger versions. The person in the back is marking the spot of the memorial marker to be placed at Dycusburg. Taken June 12, 2008. 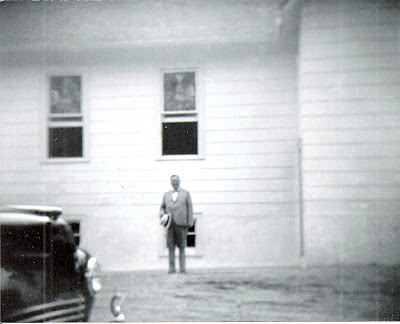 A photo taken in May 1947 while church was under construction. Neoval Decker, F.A. 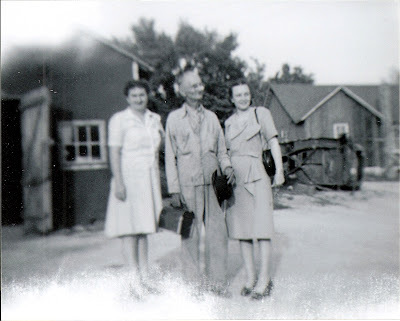 "Bud" Vosier and Elaine (Vosier) Brasher. Elaine Brasher on left. Next to her is Gray Brasher. On right is Lucien Vosier. 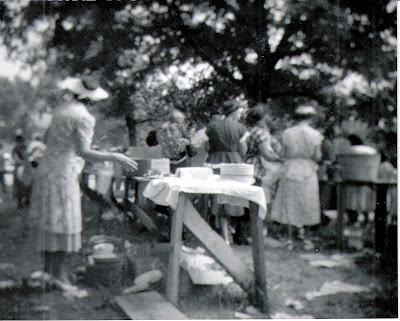 Dinner after the dedication service in 1948. Two on the left unknown. Mrs. Anna Burnell Ferguson in center. 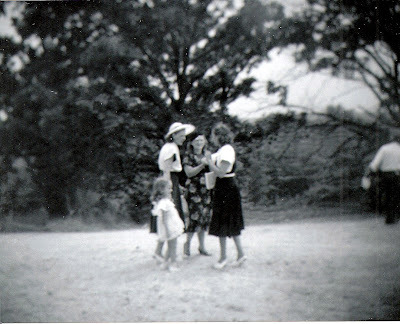 Mrs. Robert (Mabel) Dycus on right. Thanks to Connie (Brasher) Gould for sharing these photos. 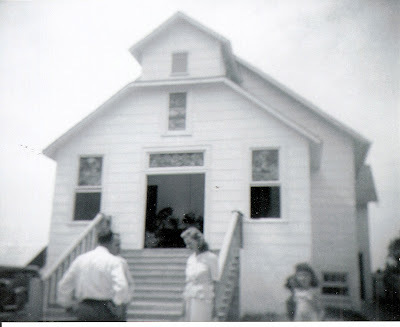 Dycusburg United Methodist Church was dedicated June 27, 1948. I wanted to correct an error that appeared in this week's issue of The Crittenden Press in Dycusburg News. There seems to be some confusion about how old Dycusburg actually is, which brings us to this week's historical tidbit. Dycusburg was established Feb. 3, 1847, making it 161 years old. Located approximately 16 miles from the Crittenden County seat of Marion, in about 1835, a Mr. Shelby opened the first ferry here on the Cumberland River. Later Berry Dycus (after whom the town was named) opened a brick warehouse and the small town began to prosper. Dycusburg was laid out by William F. Dycus on land then owned by G.B. Dycus, its first settler. Soon after Dycusburg was incorporated in 1848, businesses began to prosper even more, and The post office was established as Dycusburgh on Nov. 7, 1848. That same year, the county court appointed C.M. Jackson, Joshua Duvall, J.C. Elder, H.W. Sanders, and G.B. Dycus as the first trustees of Dycusburg. The town marshal, a synod of "patter rollers," (patrollers) was commissioned for the city and surrounding area. They included M.S. Smith, Captain P.R. Bliss, Robert Cooksey and David Moore. On June 22, 1868, the by-laws of the Town of Dycusburg were adopted. The Dycusburg Community Group has been finalizing the plans for the July 4 celebration, dubbed "Red, White and Boom!" An expanded selection of food will be served at the Dycusburg Grocery that day, including burgers and barbeque. Later, the day's main event will be the Veteran's Memorial marker and park dedication at 6 p.m., followed by fireworks at 8:30 (sunset will be at 8:16 p.m. that day). Because we anticipate a large number of attendees for the dedication, live music and free fireworks show, parking (also free) will be attendant-supervised for everyone's convenience. Finally, please bring a lawn chair. Look for an advertisement in The Crittenden Press detailing the events. A new Web site has recently launched: www.dycusburggrocery.com. Star Mahns, owner of the Dycusburg Grocery, says the site is under construction at the moment, but when finalized will include photos and a menu. We'd like to express our sincere thanks to everyone who has shared their positive comments about this new column as we're glad to have the opportunity to provide the news. Attendance at Seven Springs was down yet again this week at 50. Guest speaker was a missionary from Trigg County, Bro. Nelson. Be in prayer for Bro. Lonnie and his wife, Joy. In nursing homes are Charlie Owen and Jim Manley at Salem Springlake and Maxine Matthews at Hilltop in Kuttawa. Seven Springs asks that you keep them in your prayers. Birthday wishes to Makanda Rolfe (June 8), Wanda Berry (June 11), June Shewcraft (June 14), Madalyn Downing (June 14), Crystal Mendiola (June 21), Judy Davis (June 27), Sonia Guess and Brittany Guess (June 28), Michael Story (June 29). Anniversaries include J.E. and Bobbie Brasher (June 23), David and Katrina Boone (June 26), Gerald and Evelyn Elder (June 28), Charlie and Betty Owen (June 28). We were saddened to hear of the death of Imogene Tabor, 97, of near Caldwell Springs. 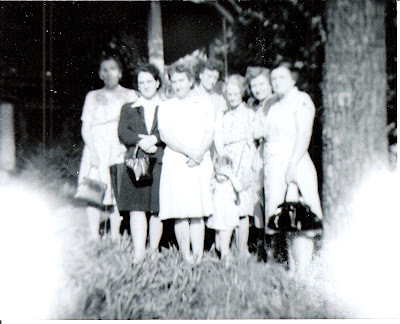 Lawrence Richardson, pastor of Grace Baptist Church in Madisonville has recently been going through his late mother's belonging and came across several photos and would like some help identifying the subjects. His mother, Ruby Mae Shewcraft Richardson, 86, Madisonville, formerly of Crittenden County, died Friday, April 25, 2008, at Ridgewood Terrace Nursing Home in Madisonville. She was preceded in death by her parents, Lawrence and Hattie (Holder) Shewcraft. She was a member of Grace Baptist Church in Madisonville and was a homemaker. Previous to joining Grace, she was a member of Seven Springs where she was a longtime Sunday School teacher. Go to www.dycusburg.com where you can view, among other photos, the Frances Elementary fifth grade class of 1961-1962. If you can identify anyone, please e-mail matthewtpatton@yahoo.com. Third time's a charm! A final clean-up is scheduled in Dycusburg before July 4 (the third clean-up held this year). This clean-up, focusing on the roadside and area around the memorial site, will be held on June 21 from 10 a.m. to 2 p.m. No dump truck will be in town this time, but dumpsters will be available and a truck with a trailer will come through for those who need it. If you would like to volunteer or need help with your clean-up, please call Michelle Henderson at 988-2758 or Star Mahns at 988-3004. Lola Mae Patton is still in the hospital at the time of this writing. A lot of good fishing is going on at the Cumberland River. At least a dozen people were seen fishing along the pier area on Saturday night. Among the good catches have been striped bass and catfish. The Dycusburg cemetery was cleaned and maintance was performed on May 31. Several volunteers were in attendance. The Dycusburg t-shirts arrived May 29 and by June 1, nearly all were sold. The black t-shirts, adorned with a large yellow ribbon, will be printed again, and prepaid orders must be placed at the Dycusburg Grocery by June 10. Due to the lead time for shipping, no exceptions can be made. Please make sure you get your t-shirt for the July 4 celebration. The Dycusburg Community Group (DCG) met at the Riverside Cafe on Thursday, May 28, to discuss the placement of the Veteran's Memorial Marker to be dedicated July 4 at 6 p.m., followed by fireworks at the boat ramp. Other matters were discussed concerning future projects. If interested, the next meeting is scheduled for Sunday, June 22, 2 p.m. at the Riverside Cafe. All are welcome. The DCG is looking for a band to perform on the night of July 4. Please contact Michelle Henderson at 988-2758 if you would like to perform or have leads for the group. Share your birthdays, anniversaries, celebrations and other news by e-mailing michrehend@yahoo.com or matthewtpatton@yahoo.com or by calling Michelle at 988-2758. The yearly meeting to discuss the upkeep of the Asbridge Cemetery was held at the cemetery on Saturday, May 24. The meeting is held the Saturday before Memorial Day every year. A potluck lunch was served. Attendance was somewhat down from last week at Seven Springs (66). We had some on the road for the Memorial Day holiday. Aliyah Frutiger, daughter of Jenny Patton, celebrated her 4th birthday with a party at their home on Saturday, May 24. Several attended, refreshments were served and Aliyah was showered with lots of presents, mostly pertaining to the princess theme. Her birthday is May 27. Other birthdays to report are Peggy Johnson (May 24) and Dan Henderson (May 25). Lola Mae Patton has been in the hospital recently. We wish her a speedy recovery. Congratulations to Jessica Marie LeFan and James Brien Gibbs who will be married on June 7 at 5 p.m. at the Mexico Baptist Church. All friends and relatives are invited to attend. Only out of town invitations are being sent. Star Mahns of Dycusburg Grocery reports several people stop by the store to ask about the boat ramp at Dycusburg, so we thought we would take this opportunity to remind readers a free launch site is available for any light trailerable recreational boat. The coordinates for the ramp off of Walnut Street are latitude 37.1593 and longitude -88.187. Open 24 hours a day, seven days a week, fisherman and other leisure users can easily access the Cumberland River at this state-maintained boat ramp. The second clean-up day at Dycusburg, held Saturday, May 24, was a bigger success than the first. Yet another dump truck, generously donated by the county, was filled to the brim. Scrap will be hauled off and proceeds will go back to the community fund. Words cannot express our gratitude to everyone who took time out of their personal schedules to help clean the town. One family was grateful and very appreciative for the efforts of the volunteers who cleaned debris from their property. Debbie Richardson said she was so thankful for the help and she had been praying to get this done. She said God answers prayers. Area residents have really come together to help one another lately, and it is showing through the spruced up yards and smiles on the faces of those who are being helped. You can view one of the new Dycusburg t-shirts at the Dycusburg Grocery. The Dycusburg Community Group is taking pre-orders for the shirts honoring troops and veterans. A limited number is available, so to ensure you have one for the 4th of July celebration, please visit the store. All residents of Southern Crittenden County are welcome to attend the Dycusburg Community Group meetings. If you feel you have a good idea, come share! All are welcome. Please contact Michelle Henderson at 988-2758 or Star Mahns at 988-3004 for more information. Watch this section of the newspaper and www.dycusburg.com for dates and times of future meetings. Please share your news by e-mailing us at michrehend@yahoo.com or matthewtpatton@yahoo.com. 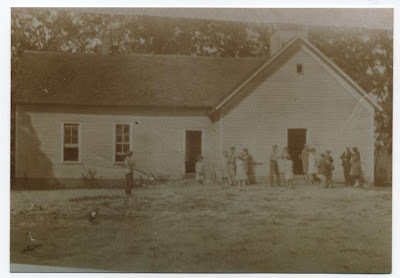 Boaz School Between Frances and Dycusburg. 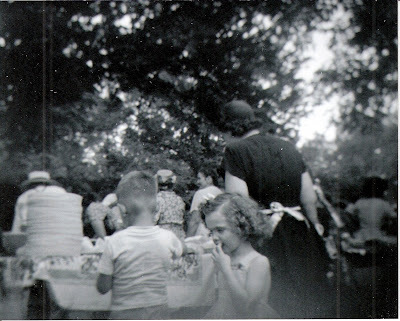 Photo from Lawrence Richardson, Madisonville, KY. Year unknown. 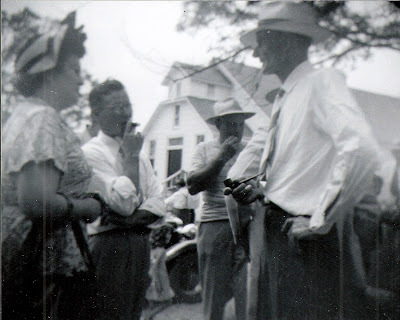 From Lawrence Richardson of Madisonville, KY: "The only two peoples names I have listed for this picture is Willie Clark--I think from Dycusburg area. Was relative of Holders. I think he was Hattie Holder Shewcraft 's (Hall) nephew. He is the first one on the front row from the left. The other name is Robert Belt. He is on front row number 5 from left. 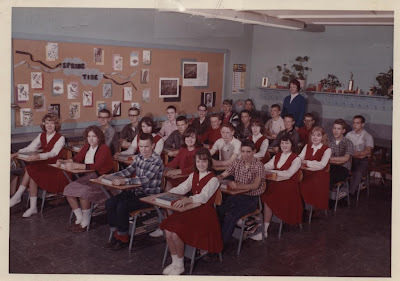 Lawrence Richardson of Madisonville, KY, shared this photo of the 1964-1965 eighth grade class at Frances Elementary. If you can identify any of the unknowns, please e-mail matthewtpatton@yahoo.com. Click on the photo for a larger image. On Tuesday morning about 1 o'clock our little neighboring city, Dycusburg, was practically wiped off the map by fire. The fire is supposed to have originated in the general merchandise store belonging to Griffin & Wells, but the cause is unknown. J.I. Hill, grocery; Owen Boaz, grocery; Will Dycus, grocery; Will Lowery, grocery; Geo. Decker, grocery, W.L. Bennett & Co., general merchandise; Griffin & Wells, Gen. merchandise; Dr. Phillips, drug store and office; Gregory's livery stable, Post Office; Peoples Bank, Rhodes hotel, Yates, hotel and residence; J.R. Glass, hardware store. Three residences were burned belonging respectively to J.B. Bennett, Ed. Lowery and T.J. Yates. We have not been able to secure the full particulars concerning the fire, the loss and etc., but it is thought that S.H. Cassidy & Co. are the heaviest losers. We understand Dr. Phillips and the bank will rebuild soon. 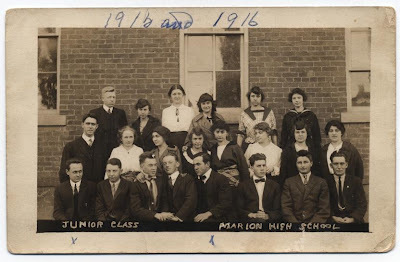 Can you identify anyone in this photo (click for larger)? Send an e-mail to matthewtpatton@yahoo.com.